Can one gym session with a fitness guru really be worth four figures? We look at the secretive world of the super-trainers. Not until mere hours before I’m due to meet Britain’s latest hotshot trainer am I granted the privilege of knowing where to find him. Numerous phone calls and text messages have been exchanged with Fabrice Le Physique (not his real name, obviously), but it’s only when I have verified my intentions that I am let in on London’s best-kept secret. I’m directed to a square of exquisite stucco-fronted houses in the heart of Kensington, a short walk from the High Street and a million miles from your average David Lloyd or Fitness First gym. It is here, in a ground-floor flat flooded with light and crammed with cutting-edge fitness equipment, that Le Physique promises to transform your body, improving fitness by up to 30 per cent in four weeks and reducing fat to a level that would be acceptable should you wish to date an A-lister, for example, or consider taking up an Olympic sport. It is no pipe dream, either. He assures me that his tailored training plans will work for anyone who is willing to pay the price. He can show you the lookbooks of his model clients — not to mention the hardened abs and arms of his physique (hence the name, bestowed on him by friends) — to make a convincing case. However, it’s at this point that most of us would come unstuck. For his expertise costs up to £1,000 an hour — roughly the value of my car. In the world of the super-rich, though, his services are as coveted as a Ferrari or an Hermès bag. 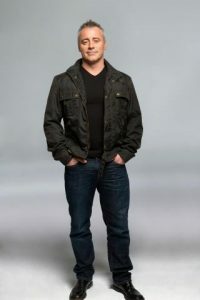 He’s discreet about his clients, but does say that they include the actor and Top Gear host Matt LeBlanc and “some of the new Star Wars cast”. He refuses to be drawn, but his smile suggests it wasn’t just some anonymous stormtroopers. Still, even if you can afford him, you will need to join the queue of footballers, CEOs and hedge-fund managers who are lining up to have their bodies redefined by the man of the moment. Not all of them will make the cut, for Le Physique operates a strict vetting process to ensure no one unsuitable wheedles their way on to his waiting list. “I check everyone’s email application thoroughly,” he says. “I like to keep it very exclusive.” Given my failure to meet any of his criteria, I might consider myself lucky to have got through the door. Yet, there’s a reason why high earners are queueing to see him; he pushes their workout ethic to new extremes. What you won’t get for your £1,000 an hour, I suspect, is an easy ride. Born in Cameroon, Le Physique followed in the footsteps of his father, who was the African table tennis champion and a national coach. He became a champion table tennis player and, after moving to the UK as a child, was on the verge of a professional football career before injury curtailed his dreams. Now 28, he still advises many top footballers, and has refined his approach to ensure that results are almost guaranteed with every client. Each programme, he says, is tailored and drawn up only after a lengthy and rigorous period of assessment in which everything from your endurance capabilities and muscle mass to your power and reactions have been tested. After that, you embark on a schedule of at least three or four workout sessions a week (only one with Le Physique, which is good news for the bank balance) based on the kind of high-intensity training methods used in elite sport. A typical hour-long session includes a warm-up on a treadmill or bike, then some flexibility work followed by 50-second bursts of intense effort using equipment ranging from battle ropes — the thick, heavy ropes that work your back, abs and core as you manoeuvre them about — to kettle bells, medicine balls and weights. His exercise methods are far from revolutionary, but what marks a good trainer is the manner in which they are employed. 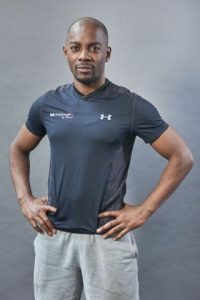 Le Physique clearly has the motivational touch needed to ensure that you squeeze out every last ounce of effort, but he also has the kind of innovative streak that sets an elite trainer apart from the £30-an-hour ones you can hire at your local gym. My workout includes a fresh take on at least four or five traditional exercises — variations on barbell moves and how to throw a medicine ball, for instance — and he promises you will rarely do the same move twice. By the end I am aching in a reassuringly hard-worked way and, yes, I am inspired to want do more. “I get to know what a body needs,” Le Physique says. “Variety is absolutely crucial for progression, but also to prevent people getting bored and stale.” Stick with it, he says and you will shred fat and send fitness levels soaring by one third within a month, possibly even sooner. A decade ago it was unthinkable that a personal trainer would be raking in the kind of hourly fees charged by partners at top law firms, but that changed when Tracy Anderson, the US-based trainer to Gwyneth Paltrow and, at one time, Madonna, and the like came on the scene. Anderson now has a string of bespoke gyms in Los Angeles and New York, and a contacts list that includes many of Hollywood’s most enviable bodies. An hour-long session with her would set you back more than £800 and she is among an elite band of super-trainers who match their clients’ celebrity status. In the UK, Matt Roberts changed the face of fitness training and restricts his personal clients to an exclusively small number. Roberts is coy about his charges, but the recent revelation that David Cameron declared on the register of MPs’ financial interests that he had received a £21,000 discount for 150 sessions with him is enough to suggest they are suitably unattainable for most. Roberts is arguably responsible for paving the way for a string of potential successors. James Duigan, whose chic Bodyism gym in Notting Hill attracts a steady flow of London’s rich tanned-and-toned set, including David Beckham, Pippa Middleton and Lara Stone, charges up to £30,000 a year for his Bodyism Platinum membership. Then there’s the new guard of Instagram trainers, led by the Surbiton-based Joe Wicks, aka the Body Coach, who has several bestselling books to his name and 1,000 people joining his online programmes every week. With each paying £147 for a 90-day personalised plan, his gross income is reportedly about £147,000 a week. I suspect they are also buying into the dream that you can outsource your willpower, and that the body beautiful becomes more achievable the more you are willing to spend. Of course, it’s a futile belief that money can buy muscle tone, but clearly the super-trainers are on to something. Not everyone on Le Physique’s books pays top dollar for a workout, but such is the bidding war for his time that fees regularly nudge the maximum. “If CEOs are flying into town or if an actor has weeks to get in shape for a movie, perspective goes out of the window,” he says. “They will pay what it takes to rearrange my schedule.” Really, who can blame him for succumbing? Nice work if you can get it.